The Joint Collector-II who is a non I.A.S cadre Special Grade Deputy Collector looks after various developmental activities pertaining to various departments.The Major departments looked after by Joint Collector-II are District Medical and Health Department, Social Welfare Department, BC Welfare, BC Corporation, Disable Welfare, Housing and Other Departments.The District Revenue Officer (DRO) in the Cadre of Special Grade Deputy Collectors assists the Collector and Joint Collector in discharging their duties. 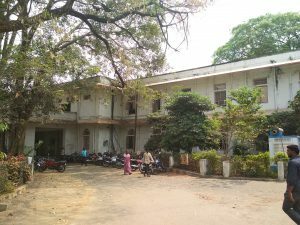 The District Revenue Officer looks after all the branches of the Collectorate. 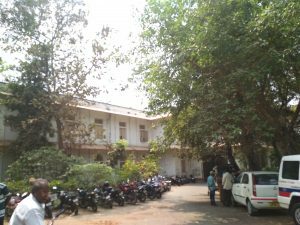 He deals mainly with general administration and is vested with supervision of day-to-day functions of the Collectorate.The administrative Officer in the rank of a Tahsildar is the general assistant to the Collector. He directly supervises all the sections in the Collectorate and most of the files are routed through him. 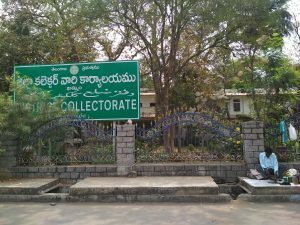 The Collectorate is divided into 8 sections as per the administrative reforms taken up by the Government of Telangana. An alphabet letter is given to each section for easy reference. Section H :: Deals with Protocol, Elections and Residuary work.